I am a staunch fan of Microsoft and use their technologies in every walk of my professional and personal life. After realizing that there is no device coming from Microsoft after Lumia 950 in the near future and learning that Bill Gates switched to Android, I had given a long thought and tried to hold on to the Lumia 950 for a while even Microsoft might not release any new device in near future. But I had to jump ship after a long struggle that is nearly a year of struggle as my device is becoming long in the tooth. Microsoft powered devices are my daily drivers for my daily life even before the advent of Smartphones. I had started in pocket smart device journey with HP Jornado 720 (handheld device) powered with Windows CE and after Microsoft released Pocket PC, I bought the very first Pocket PC HP Jornado 545 and used it as my contacts manager and pocket notebook that includes keeping track of my finances. I switched to Smartphone when HTC released Blue Angel with Pocket PC OS, and then I never looked back. I used almost every primary Windows Mobile device such HTC Diamond, HTC Advantage, HTC TyTn, and HTC TyTn II. I also have used HTC Shift x9501 which was released with Vista and tortured Windows Mobile. I had immense pleasure in using the Windows Mobile and I never looked for other alternatives. I used to be very active on XDA forum and cooked my own ROMs too. When Microsoft shifted gear to Windows Phone 7 realizing that there is no market for Windows Mobile, I switched to WP7 buying the Samsung Windows Phone 7 on the release day itself (November 8, 2010). Then I realized Samsung WP 7 is not that great and tried HTC Titan and Titan 2. While Titan 2 was great, I really liked the Lumia 900 (Nokia’s WP7 device) and switched to Cyan version of it. Then I upgraded to Lumia 920, 1020 (I still have this and I use it for taking pictures), 1520 and then Lumia 950. While Lumia 950 is great, I found the battery is dying on me for every two hours and also in pocket ghost reboots are annoying. That made me switch to the new one. I checked the Alcatel and HP offerings of Windows 10 Mobile, but I really didn’t like the hardware. Nothing can beat Microsoft hardware, I own and operate Surface Book and Surface Pro 3 and I like them totally. I am happy with this choice even though App ecosystem is limited when compared to Android and iOS. Since I use my device for communications, content consumption, collaboration, Microsoft Office, keep up with personal finances, casual surfing, and photo taking, and as those are perfectly feasible on my Lumia devices, I found it as a great companion, and never really looked around. I had considered Android before moving to iPhone X. I have had a mixed opinion with iPhone as I have an iPhone 7p, which I use for development. I also have a Samsung S7 Edge for development. While S7 Edge runs with Microsoft Launcher and other Microsoft apps, it failed two times on me. The first time, the device screen died and after back and forth with Samsung support, I got that replaced. This was immediately after it was launched. Then the screen started displaying pink vertical line on the right side, now there is no alternative other than replacing the display or get a new one. I tried an LG G5 as the pink line is becoming annoying for my development and I found to my surprise LG G5 is also not great, as it is going into continuous bootloop and then suffered from backlight bleed and blooming issues and I had no choice other than returning it back. These made me think that the Android devices are nothing but beta hardware. I am not trying to generalize and stereotype, but I strongly felt that they were not good as my daily drivers. I wanted to get Google Pixel 2, but I couldn’t as I found the smoothness of that is not that great as iPhone X. After a long consideration and searching the App Store on my iPhone 7 Plus, I found there have the Microsoft apps that I use regularly, and interestingly they are stable also. I also found the Google apps also are great on iPhone than Android. And I thought this was great and decided to replace my Lumia 950 with iPhone X as my daily driver. I really never thought that I would be on to iPhone system as a daily driver, but it happened and that was meant to be. I bought iPhone X and started playing with it for the past few days and I found it as a not bad device at all even though there are certain issues that could make it as a pre-release device, I would not call it as beta hardware, but nearly production ready device. I have one great gripe with my choice, which is not on the phone, but with the App or feature. In my Lumia I could call Cortana from in-car dialing by giving a command saying Call Cortana, and then interact with Cortana on road. This comes pretty handy like learning weather ahead, news, traffic conditions, or any other emergency alerts, taking or diverting calls, texting etc., without leaving hands on the steering and eyes from the road. While there is a Cortana App for both Android and iOS, it can’t take calls as it is not integrated with the system and interestingly neither Siri nor Ok Google can’t be invoked by calling them from Car Bluetooth. The other gripe, while Siri is hot, I can say Cortana is more intelligent and useful, but to each their own. I use Windows Mail on my device and Outlook on my computer for email and I found the Outlook app from Microsoft as a pretty stable and I could manage my calendar also easily with it. As I am totally into Outlook for my daily communications, I found the Outlook App as great. The Focused Inbox feature of Outlook helps me to filter out unwanted crap as newsletters or non-essential email. The other advantage is its ability to integrate with cloud storage and the ability to easily load files from the cloud are always my choice and I immediately found it at home. I take a lot of pictures daily and while I miss my Lumia 950 quality, I found iPhone 7 Plus camera as a good one and the one iPhone X as improved one. I also backup my photos on OneDrive, and I found that I could automatically backup my pictures to OneDrive easily with one setting. I take a lot of notes in my professional life and I use OneNote and as I could continue on my Phone and PC with OneNote, I found it as handy. The 3D touch feature enhances the OneNote. While a lot of people use Chrome or Safari on their iPhones, I love using Edge browser and I could use the Continue on PC to continue my surfing after I reach my PC. While I rarely edit Word, Excel or PowerPoint on my phone, I sometimes use them to quickly correct the documents and send them for review as I get involved in designing and architecture. Also, I could open my PowerPoint and fix any issues. As these apps are available on iOS also, I found it close. Recently I started using Sway for creating ad-hoc presentations with my photos and it as totally useful. I do a lot of Azure development in my professional life and this is a pretty handy app and I started loving it. I use Office Lens a lot to quickly take a picture of a document and convert it into PDF. I use and prefer Bing (I already said I am a Microsoft fanboy) and the Bing app is totally awesome and handy. While Cortana integration is seamless in Windows 10 Mobile, and I found the app is limited in feature such as in-car dialing to Cortana, I found this as not a bad one. I could set up reminders using Cortana and I can get that read on my other devices including Harmon Kardon Invoke too. We Skype for Business (formerly known as Lync) for our business communications and the app is totally great and its integration with cloud services and Office are great. I use Delve app a lot, which comes pretty handy as most of my office emails contain attachments and I can find them easily without searching or scrolling through the email. I use this app for security and logging into systems securely. Microsoft Translator comes pretty handily whenever I start communicating with my friends that live throughout Europe. This is a Microsoft Garage app, which I use a lot to convert my speech into text and save it into word documents and edit them. While I rarely use Group Me, I use Teams a lot to communicate and collaborate with my teams. As an IT architect and engineer, I interact with Visio diagrams regularly and this app is pretty handy and useful. 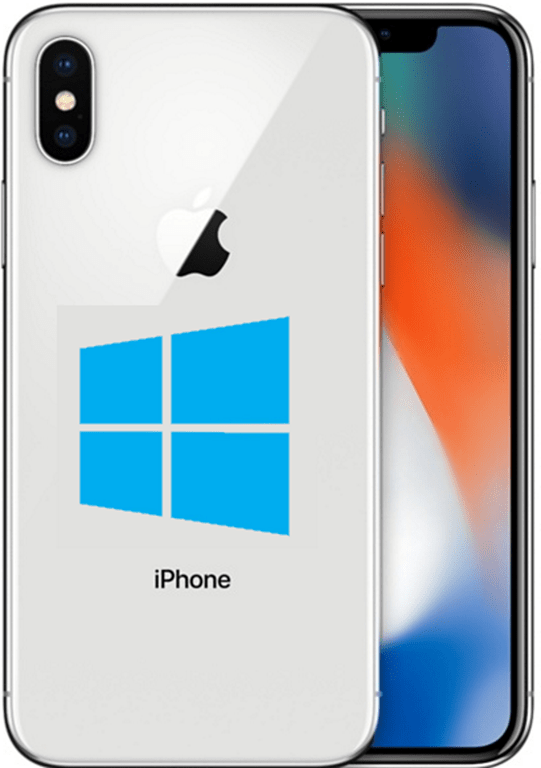 With these apps and services, I found iPhone X is not bad at all, while it may not be my beloved Windows 10 Mobile, I think I have bought a stable hardware powered by not a bad Operating System with great Microsoft App ecosystem.